Our expert panel here at Nursery Resources consists of a team of well experienced, highly qualified and fun early years professionals! All of these early years professionals assist us in our product review and production, as well as pitching to us their ideas of what resources they believe Early Years settings need. Azarmindokhti Aalamani is the owner of Little Angels in Southwark, Bankside London. She has worked in Early Years for over 10 years and holds the CACHE Level 3 Childcare in Early years qualification along with a BA Honours degree in Marketing and Advertising. The children in Azarmindokhti's setting are her greatest passion and their parents and guardians are her extended family, everything Little Angels 24/7 does, reflects that. Little Angels have created a little home away from home for their kids and, together with the team, they make up a dedicated family away from family. Azarmindokhti likes to think of herself as creative and goofy; always determined to retain her childlike joy and wonder! Deborah is the nursery manager and owner of Lynwood Day Nursery in Barrow-in-Furness. She started to work in the Early Years about 4 years ago and completed her NVQ 3 qualification about two years ago. Deborah needed a change in her life and her little daughter at that stage gave her the idea of taking her future journey in childcare. Deborah's previous background was event management, having worked internationally for hotels and event companies organising different types of events - small and large. "Working with young children is 10 times harder than organising an event, but it's 1000 times more rewarding! To be able to take part and impact on their life journey, being able to teach and show them life skills, more than anything, and gain their trust and friendship is the most amazing experience. It became my passion and my motive to become the manager of the nursery I am working at now." In 2017, Deborah had the opportunity to take over the nursery, which she accepted. She then started the 'Planning in the Moment' approach, which made a huge difference to their children. Jennifer is currently teaching EYFS in a primary school. She is a qualified primary school teacher with 6 years experience – 5 of which have been in the wonderful world of EYFS! Jennifer is also a qualified Forest Schools Leader and is immensely passionate about nature and learning in, from and with natural resources. Her passions in the EYFS are promoting art, music, role-play and BSL as intrinsic foundations/outlets for expression within the EYFS. Her current interests are child led learning, art therapy and BSL/sign along. Jennifer loves the early years; she says "There is nowhere else I'd have as much fun nor make such a huge difference at such a pivotal stage of the learning adventure." She also spent over a year working in an orphanage and teaching kindergarten/EYFS in West Java, Indonesia. Amazing!! Joanne went into childcare 30 years ago. She has three children of her own aged 30, 25 and 17. She has many qualifications, including an NVQ Level 3 in Childcare, BLS Level 2, First Aid, Safeguarding. and many more! Joanne enjoys working with children and providing a stimulating and caring environment for all ages and stages, that gives every individual child the opportunity to develop to their full potential. Every child matters at JoJo's. JoJo's offers a wide range of activities, crafts, baking, outings and a home from home for children. "I have been using Nursery Resources products for a while and love all the products that I have bought." Nikki has been working in childcare for nearly 21 years, is qualified in Early Years Playwork and is currently working on her Level 5 Management! She started her career in childcare in 1991 as a children's rep in Tenerife, where she ran her own children's club, before moving on to work in day nurseries, working her way up to become supervisor. After managing a Montessori nursery in Buckinhamshire Nikki secured her first site in 2007, here she gained oustanding and opened her second site in 2014 which later became a preschool. Nikki now has 4 sites, consisting of breakfast clubs, preschool and after school and holiday clubs. KidsStop have a well qualified and experienced team, whose priority is ensuring the children are safe, secure and having fun! Nikki's passion is to do her best, and be her best, and her team follow these values. 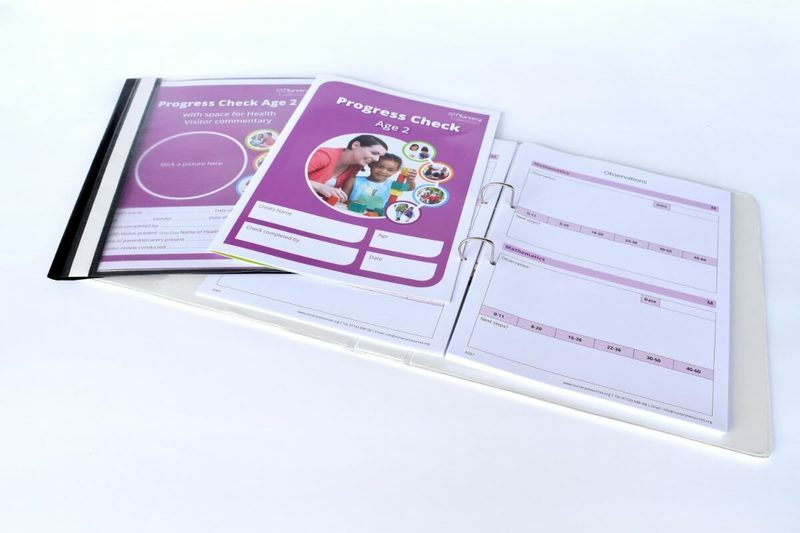 "We have been using Nursery Resources for many years now and find them to be both professional and easy to use. Having ideas myself, it was the perfect opportunity to get involved!" Tracey and Jean were childminders for 6 years and have expanded to a 37-place nursery, which they've now had for a year. They employ 8 staff and are currently full. Their proudest moment is their very first inspection, where they received an outstanding grade! They still retain that grade to this day. Jean is Tracey's Mum and helps her to run Lilliputs on a day-to-day basis. As a co-founder, she is an integral part of the management team and supports and mentors Lilliput's staff to provide exceptional care and, of course, fun! With the little spare time Jean has, she loves shopping and the theatre, often remembering the days she played the back end of a pantomime cow! In her latest venture, she is writing a book about kids quotes and stories; keep your eye out for it! Tracey is the co-founder of Lilliput and works alongside her Mum, Jean. When she was younger, she was a Bluecoat at Pontins Southport! With over 10 years of entertaining kids on stage and, eventually, having 2 children of her own, Tracey decided she wanted to start her own business looking after children. When she isn't planning activities or doing paperwork, she likes to spend time with her family, putting her feet up and watching Mary Poppins. Trudy, together with the staff and the Committee, run an outstanding, non-for-profit charity in the heart of Salisbury City. She is a qualified teacher, who has taught children and young adults from ages 0-25 for many years. Trudy has three degrees - Early Years, Primary Practice and Religious Studies - and has also taught higher education Philosophy and Ethics! Meaning she understands all stages of education. St. Osmunds Preschool & Sunshine Clubs are situated in one of the most deprived areas of Salisbury. Trudy's own struggles in the past as a single mum and having survived domestic violence means she has an enhanced and empathetic focus towards the children and the parents. St. Osmunds Preschool & Sunshine Clubs aim to provide a holistic setting that supports, not only the child, but their families too. All the staff at St. Osmunds & Sunshine Clubs continuously question themselves and reflect on whether they can do better; "What makes a good education for these young children in our care, so that they can thrive and succeed in life?"